know this for a fact. But what people tend to forget is that they still need help to get an improvement in the score. In preparing to take the GMAT, here is a list of steps to follow to help you improve your score what needs to get done. 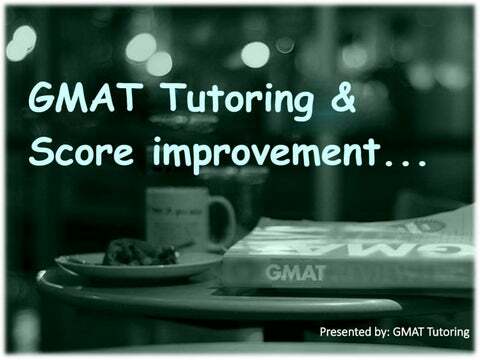 If you are thinking about taking the GMAT is to figure out timing. You want to leave enough time between getting your scores back and the deadline to apply to potentially retake the exam if you do not get the score you wanted. Timing is everything, as you are limited in each section. It is important to understand this concept fully, as it affects how you answer questions, especially figuring out how long to take on each question. It is a good idea to start with a study plan. This will help you allocate time to problem areas and avoid wasting time on things you already know, so that you can allocate more time to studying that specifically. Better Approach for GMAT Preparation?